If you're not able to, or simply don't want to read each little news blurb about Porsche Motorsports, there is no better way to stay in touch than by reviewing the monthly Porsche Motorsport Newsletter here on PorschePurist. Filled with interesting facts and figures about past and upcoming races, along with changes to team and crew, the Porsche Motorsport Newsletter is an easy way to keep up-to-date on this year’s racing activities within the Porsche community. 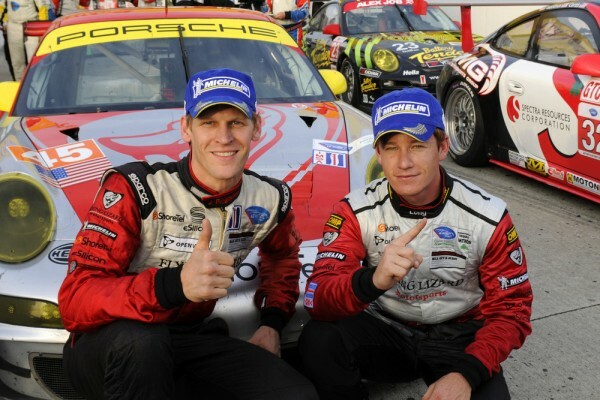 The lightning work done on their 911 GT3 RSR in the pits of Flying Lizard Motorsports was the key to the first win of the season for Porsche's Joerg Bergmeister and Patrick Long at round two of the ALMS in Long Beach (17 April). With fresh tires the reigning champions won the fight for GT honors after 100 minutes. Their rivals had only changed drivers. In the LMP class, Klaus Graf and Greg Pickett brought home third with their Muscle Milk Cytosport RS Spyder. Both Porsche cars won the Michelin Green X Challenge environmental award. 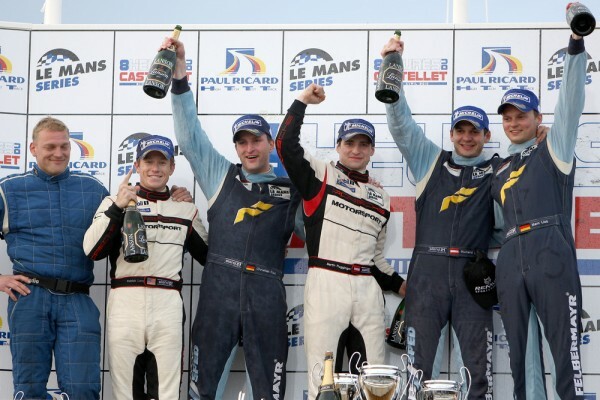 Reigning champions Marc Lieb and Richard Lietz crossed the finish line first in their Felbermayr-Proton 911 GT3 RSR at round one of the Le Mans Series in southern France’s Le Castellet (11 April). After eight hours, the works drivers held a two-lap advantage over the team’s second Porsche, in which works driver Patrick Long together with Martin Ragginger and team owner Christian Ried conquered second. Successful debut for Austrian Thomas Gruber and Dimitros Deverikos from Greece at the season-opener of the International GT Open on the Circuit Ricardo Tormo near Valencia (17 April). The duo snatched GTS victory at the wheel of the Autorlando Sport 911 GT3 R. In the Super GT class, Patrick Pilet/Raymond Narac yielded second with their IMSA Performance Matmut-911 GT3 RSR from race two (18 April). The new 911 GT3 R goes from win to win on the world’s toughest race track. Round three of the Nürburgring Long Distance Championship (24 April) went to Chris Mamerow and Porsche factory pilot Wolf Henzler with the 911 GT3 R of Mamerow Racing. Timo Bernhard, Romain Dumas and Marcel Tiemann had won the second race (10 April) in Manthey Racing’s 911 GT3 R.
The innovative Porsche 911 GT3 R Hybrid continues its success streak. Joerg Bergmeister and Wolf Henzler claimed third at round two of the Nürburgring Long Distance Championship (10 April) piloting the GT with its 480 hp normally aspirated engine and two 60 kW (82 hp) electro-motors at the front axle. Two weeks later, Formula 1 pilot Nico Hülkenberg turned his first laps on the Nordschleife in a Porsche race car – and was taken with both the track and the Porsche 911 GT3 R Hybrid. Niclas Kentenich and Sebastian Asch won the first race of the 2010 ADAC GT Masters driving an a-workx 911 GT3 R in the Motorsport Arena Oschersleben (10 April). Frank Schmickler/Kevin Estre secured second place in a Mühlner-Porsche 911 GT3 R. Race two went to René Rast/Tim Bergmeister at the wheel of a Mühlner-Porsche 911 GT3 Cup S. GT Masters debutant Rast gave an impressive performance with his slick-shod car on a wet track surface. A brilliant performance by Autorlando Sport at the start of the season in Misano (24/25 April): Works pilot Patrick Pilet and Gianluca Roda proved unbeatable in the new 911 GT3 R at both GT3 races and brought home overall victory from the first race. Paolo Ruberti and Fabrizio Del Monte secured the GT2 win for Autorlando in the 911 GT3 RSR at race one, finishing second overall behind their team colleagues. The Belcar Endurance Championship took off into the season on the Circuit Zolder (11 April) with the Porsche 911 GT3 R winning here as well. Starting from second on the grid in a 40-strong field, Marc Goossens and Maxime Soulet won the top GT3 class for Prospeed Competition almost one lap ahead of their rival in second. The near-standard 911 GT3 Cup encounters purpose-built tubular frame race cars in the GT class of the Grand-Am. Nevertheless, thanks to a clever pit strategy, the long-established TRG squad claimed their first win of the season at race four on the Virginia International Raceway (24 April). Andy Lally shared the cockpit of the TRG-Porsche with Ted Ballou. With two flag-to-flag wins from pole position at the Carrera Cup Asia race held as support to the Formula 1 Grand Prix in Shanghai (17/18 April), Christian Menzel launched his title defence campaign in the Star Chase 911 GT3 Cup. Porsche Asia Pacific announced a record grid line-up of 23 new 911 GT3 Cup racers. While Nick Tandy (Konrad Motorsport) brought home his first win at round one of the Carrera Cup Deutschland (25 April) from pole position, a fight for the remaining podium spots raged behind the Briton. After 18 laps on the Hockenheimring, Niclas Kentenich clinched second starting from sixth, with Martin Ragginger ploughing his way through from ninth on the grid to claim the last podium step. Seasoned racer Tim Harvey achieved four straight wins on the high-speed circuit of Thruxton (3/4 April) and in Rockingham (24/25 April) for Red Line Racing. But it was 23-year-old newcomer Euan Hankey who made headlines at his Porsche debut in Thruxton with positions three and two. 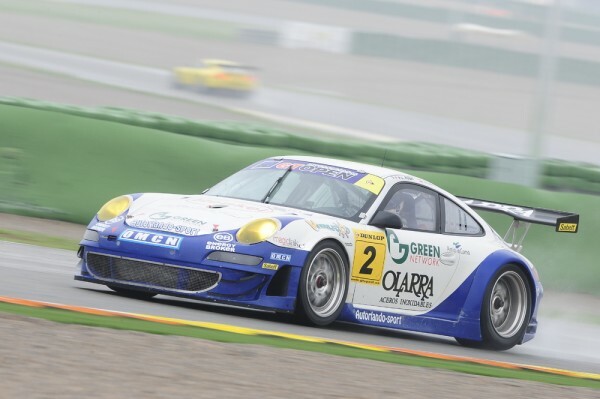 At the season-opener of the Carrera Cup Japan in Okayama (3/4 April) the reigning champion fulfilled all expectations: Y. Shimizu won both races. But, like in England, he also had a rookie hot on his bumper: H. Yasuoka was the sole competitor to match the champion’s pace to secure second place twice. Three wins on the Symmons Plains Raceway in Tasmania (10/11 Apr) catapulted reigning champion Matt Kingsley from zero points to the top of the table. After an accident he had left round one in Bathurst without any points. Kingsley’s leap into the lead is an exact repeat of his 2009 season-opening. Ex-Formula 1 driver Ricardo Rosset wins at his debut in the GT3 Cup Challenge Brasil in Jacarepaguá, with race two going to Clemente Lunardi (17/18 April). Alexandre Barros is the new points’ leader with two second places. Ludovic Badey and Kevin Estre are victors of the Carrera Cup France in Nogaro (4/5 April). What’s the True Price of Deferring Service on Your Porsche?